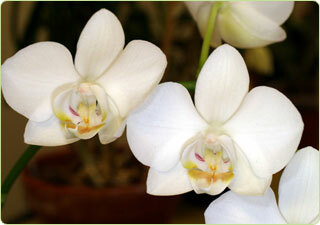 Membership in the Orchid Society of Greater St. Louis is just $25.00 per year. Please come to a meeting to see what we have to offer and get acquainted. You can get an application form there or you can download a copy of the application in Adobe Acrobat format by clicking the link below. You can print the application, fill it out and send it with your dues to the address provided on the application. Download the Application The application is in Adobe PDF format. You'll need the free Adobe Reader to open the file.